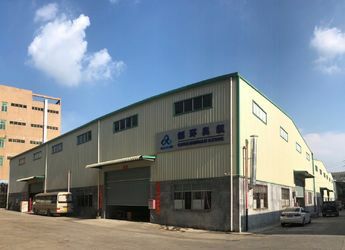 Guangzhou Netech Environmental Technology Co.,Ltd., based on the parent company of Guangzhou Chuanghuan Ozone Electric Appliance Co., Ltd. which was established in 2006, It focuses on ozone equipment, accessories production, development and application of products. With the development for several years, the company has been patented in 16 aspects of the ozone generator. Most products have had CE certification. We are the key suppliers for components of ozone generators in domestic and foreign manufacturers. Our products include the 100mg-10kg / h of ozone and ozone accessories. The core types of ozone generators are quartz tube, ceramic and enamel, widely used in water and air treatment. Products are exported to Europe, North and South America, Southeast Asia, Middle East, Africa and dozens of countries. We are able to meet the needs of customizing ozone treatment systems for our customers, including intelligent processing systems, on-line monitoring system. You can also have a supporting professional ozone treatment system depending on various business environments. In applications such as hotels, many well-known hotels are using our expertise ozone machine for the rooms to deodorize and sterilize. In aquaculture, many farmers at home and abroad use our professional products of aquaculture for breeding fish, shrimp and grouper and shrimp, high-value aquaculture like shrimp and ornamental fish. In food processing applications, many domestic and foreign food manufacturers use our expertise ozone water machine for sterilization and preservation process of fish, meat and tropical fruits, etc. In terms of commercial bottled water, a lot of domestic and foreign manufacturers of bottled water use our professional ozone all-in-one machine to sterilize water and water bottles. You can also apply our machines in the swimming pool, landscape water and sewage. Quality and service has always been our foremost concern. More than 90% of our stringently screening suppliers obtain the ISO9001 quality certification. This measure can guarantee the quality of our products so that customers are at ease. We establish a good relationship with some authoritative testing institution to ensure the effective use of our products. Our mission is: based on ozone, to provide global good products. Our aims: to maintain integrity. We have been doing our best to provide the best service, the most competitive price and high quality products for our customers. And we win customers and markets in this way. 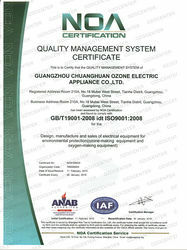 Guangzhou Chuanghuan Ozone Electric Appliance Co., Ltd. (Subsidiary Corporation: Guangzhou Netech Environmental Technology Co., Ltd.) is a professional enterprise focuses on ozone equipment, production, research and development and application of accessories, it confirms basement of technology innovation and management principal of satisfying the customers. In the recent ten years’ development of the enterprise, as a private enterprise, every key node represents a successful transformation of a technological achievement. 1. 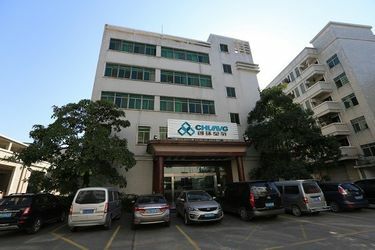 Our company established in Room 108, No.18 Mubei West Street, Tianhe Distrct, Guangzhou On November June, 2006. 2. 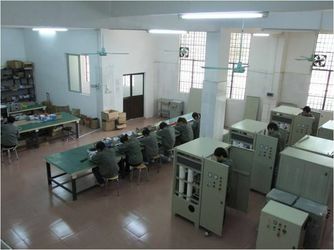 From 2006 to 2007, open adjustable power supply of ozone machine and ceramic ozone generator’s research and development. 3. In 2007, the first generation of air-cooled ceramic ozone generator was put in the market, which was accepted by the market because of stable ozone output, compact design, small size and great variety of goods. 4. 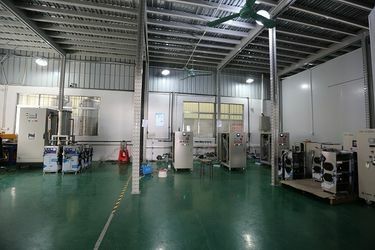 The first generation of the water-cooling ceramic tube ozone generator was successfully developed and the external air ceramic tube ozone generator was put in the market on June, 2008. 5. 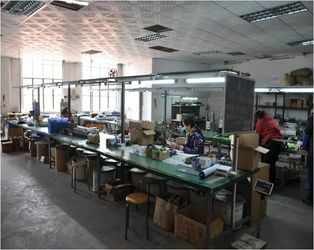 In July, 2008, carrying on the improvement of associated accessories of the ozone system’s application and the first generation of fault protection and cooling protection was successfully applied to ozone electric appliance. 6. 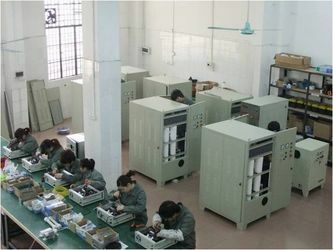 In September, 2008, the second generation of air-cooled ceramic ozone generator was launched, which improved the internal medium, made the assembly more reasonable, reduced significantly the risk of quality in the process. 7. In April, 2009, the first generation of portable ozone generator, KTB was born, which was the first portable ozone generator and was put in the market in the same year. This kind of portable ozone generator is popular with the foreign customers because of its high cost performance. Especially the European and American countries’ customer began to talk about the processing and cooperation. 8. In August, 2009, the dual-purpose stainless steel shell T ozone machine with built-in air source and external gas source was put in the research and development. 9. In September, 2009, carrying on the improvement of the first generation of the water-cooling ozone generator and the research and development of the first generation of double water enamel tube ozone generator. 10. In February, 2010, the second generation of portable ozone generator BT was born, assembled the third generation of ceramic tube ozone generator and got two national patents. 11. In May, 2010, the first generation of double water enamel tube ozone generator was born, single tube ozone production is from 15g to 60g, and the first generation of the double water cooling enamel ozone tube machine was put in research and development. 12. In July, 2010, the first generation of PSA oxygen generator was born, at the same year, applied to double water enamel tube ozone generator and combined with the gas-handling system. A single ozone machine‘s ozone production is from 30g to 100g, with a smaller size, higher production, more stable concentration and low failure rate. 13. In December, 2010, after six months of continually application test, the first generation of double water enamel tube ozone generator was put in the market and was applied to water treatment and spatial processing. 14. In March, 2011, the second generation of single water cooling ozone generator was born and put in the market. 24. In 2014, respectively, in September, October and December, we achieve seven national patents. 25. In August 2014 to date, ozone generator power is being developed with multifunction protection and digital signal. Guangzhou Chuanghuan Ozone Electric Appliance Co., Ltd. (Subsidiary Corporation: Guangzhou Netech Environmental Technology Co., Ltd.) is a professional manufacturer; Chuanghuan / Netech produces ozone generator, oxygen generator, ozone accessories industrial oxygen accessories, portable ozone machine, ozone machine, ozone water machine, ozone machine for hotel, miniature ozone, oxygen machines, aquaculture equipment and ornamental fish breeding equipment, etc. 1. We have our own development and design teams to ensure that our own technology can provide customers with innovative products and services. 2. Let us know your needs so that we can provide you with customized products which have a professional advantage, draw and send the samples fast. Only in this way can our products meet the needs of your market. 3. If you give us some product samples, we will be based on samples to design and develop better products. 4. We are the manufacturer with our own factories; therefore, we have the ability to mass production. 5. 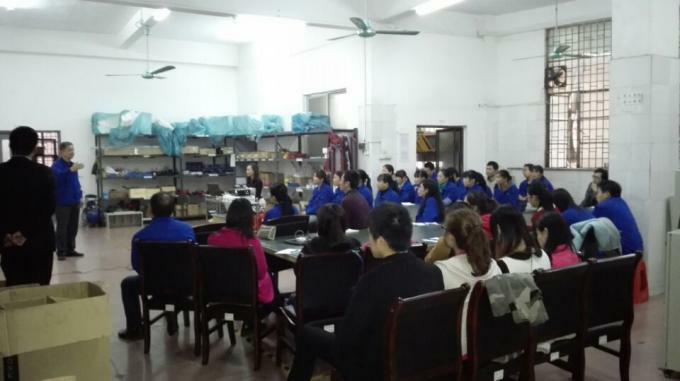 Our factory obtained ISO9001 quality system certification, so the product quality and safety have been effectively controlled. 6. The key components of our products have gained national patents. There are not any intellectual property risks. Most of our R & D staff has worked in the professional field for over 5 years. Core R & D personnel have had experience in ozone industry for more than 10 years. Most of the key components of ozone are independent research and development, being tailored with their own proprietary technology, quality and safety effectively controlled. 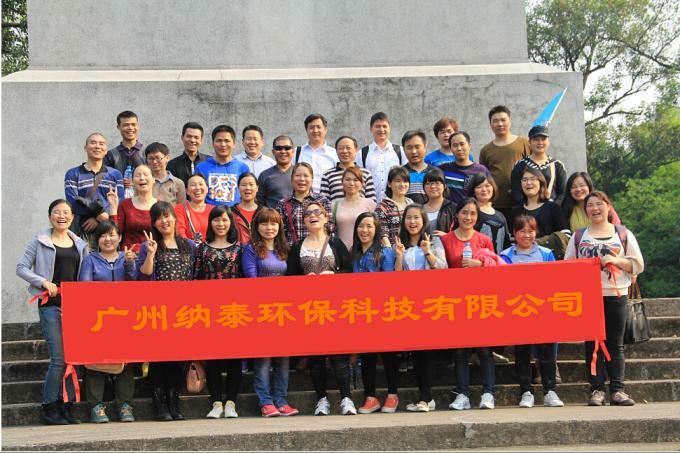 Our team and sales team can surely provide fast and efficient service for our customers worldwide. We have a complete supply system and we can guarantee the product accessories needs. Therefore, if you have any questions, at your convenience, feel free to contact us. DHL, UPS, FedEx, Maersk, SINOTRANS, COSCO Group, SF Express, rhyme delivery is our good partner; it can surely make a fast and safe delivery for customers.